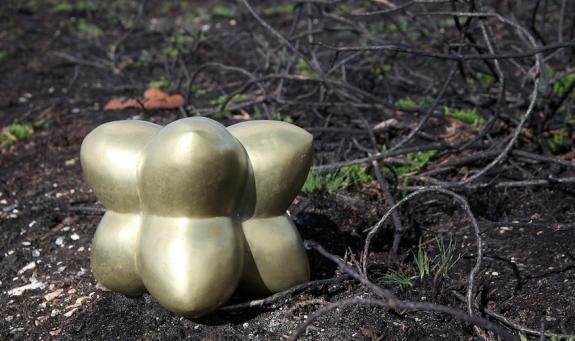 Rebecca Newnham works predominately as a sculptor. 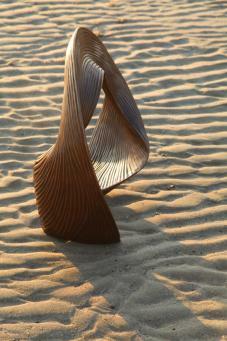 The sculpture is recognisable: the structures are fluid, organic and undulating. Forms are influenced by the natural world, by science, by an understanding of materials gained from her hands on approach. 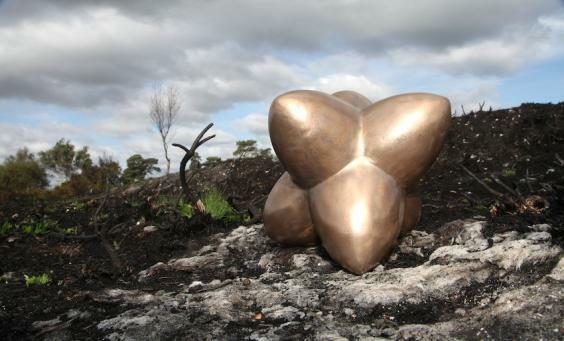 As the sculpture is driven by the natural language of form, it sits well in a landscape and is often monumental. Other smaller works punctuate indoor spaces, playing with light on their reflective surfaces. The organic curves and lines are strong and compliment architecture, garden design, the natural landscape. Installations are sometimes site specific. They can be static or kinetic, some float or suspend or rotate. Most recently Newnham installed 'Wave', a commissioned, site specific, 15m floating installation which considers the ever increasing volume of information which invisibly surrounds us. 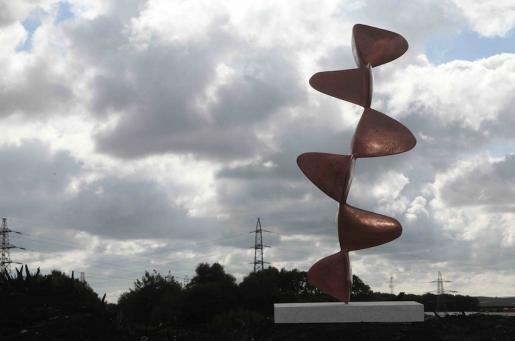 The five sections have an internal steel structure, have a highly polished red surface and are invisibly chained together and anchored to allow the work to respond to wind and water flow. 'Wave' is red because in the colour spectrum, red appears at this wavelength. 'Fledge; Increments of Flight' was exhibited in ’Liminality’, at Salisbury Cathedral, curated by Jacquiline Creswell. The group of four winged sculptures describe a liminal journey, snap shot stages of flight. They rotate on concealed bearings, responding to touch or the wind, and have a glass skin with a fiberglass and steel structure.